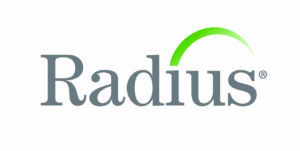 Radius Health, a biopharmaceutical company, has appointed Chhaya Shah as senior Vice President of technical operations. The company which works in the area of innovative endocrine therapeutics in osteoporosis and oncology, made the official announcement on Tuesday. “Ms. Shah will help strengthen and expand our technical operations infrastructure, optimize our supply chain and ramp-up our manufacturing capabilities, supporting the development of our late-stage clinical pipeline to commercial readiness, said Jesper HÃ¸iland, President and Chief utive Officer of Radius. Before starting new inning at Radius, Shah was with Synergy Pharmaceuticals as senior vice president of manufacturing and technical operations. She helped Synergy successfully launch their first commercial product. Prior to Synergy, Chhaya served at Shire Pharmaceuticals where she was responsible for end-to-end supply chain for over 20 products, developed quality systems and supported global approval of multiple products including pre-approval regulatory inspections. She also worked with Wyeth Pharmaceuticals, Vaccine Division and Abbott Laboratories.